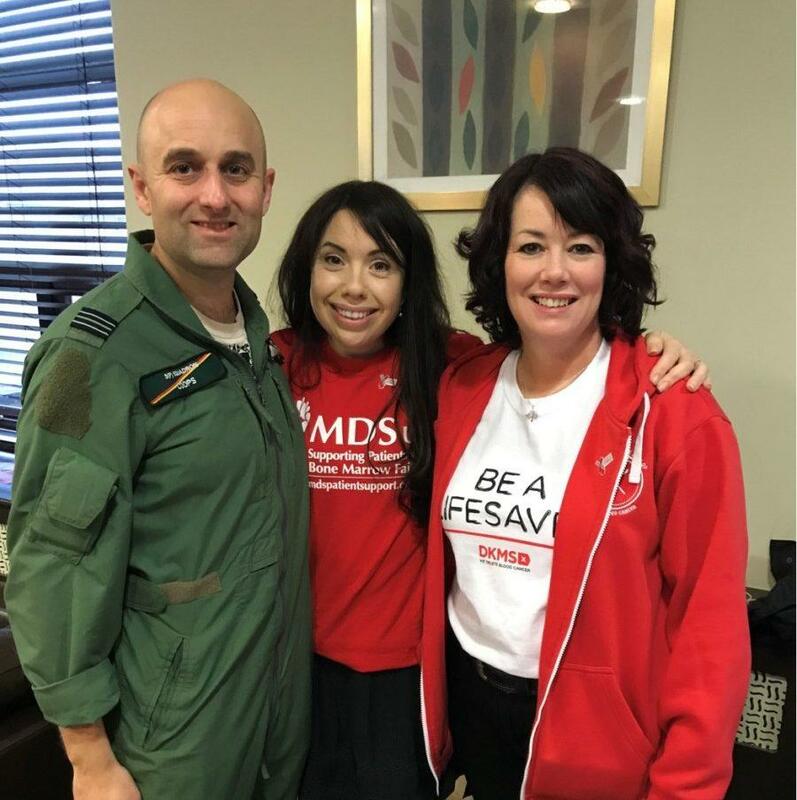 On Thursday 22nd of November MDS UK was represented at a bone marrow donor drive at RAF Coningsby alongside the bone marrow donor charity, DKMS. The event was prompted by the husband of Emma Sheldon, Adrian Cooper, following his wife’s diagnosis of MDS. As a great number of patients will know, the initial emotions that a great many experience on receiving this diagnosis can range from shock and disbelief to abject despair. Very often patients will ask “why me?”. This event was part of a concerted effort to support Emma and Adrian, to help them come to terms with the diagnosis, and see that there was a way forward. We hope that we have shown that the support is available and that we are ready to listen. "The Dr informed us that Emma had MDS, but couldn’t give a fuller explanation due to some further tests waiting to be carried out...We left the hospital in a daze and Emma broke down." RAF Coningsby is an iconic location being the original home of ‘The Dambusters’. It’s currently home to a squadron of Typhoons amongst other aircraft. RAF Coningsby was chosen because Adrian is a pilot with the RAF, and the RAF had been instrumental in supporting a bone marrow donor drive. We were lucky enough to have a great group of supporters on the day. These included Tom Lightfoot, himself an MDS patient who’s had a successful transplant, Jayne Snell, another MDS patient who’s also had a successful transplant, together with her husband, Martin, and Russell Cook, deputy chairman of MDS UK, there to represent the charity in an official capacity. It was a long day - with some of our supporters driving 2 to 3 hours or more in order to get to the event - but well worth it. 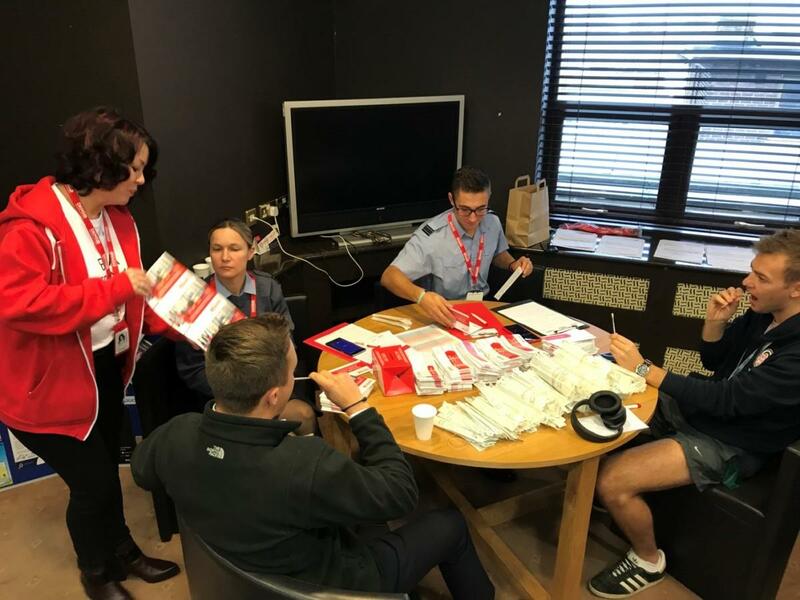 The support from the RAF was spectacular with over 75 RAF and support personnel swabbed ready to be put onto the bone marrow registry - and the general consensus on the day was that we could probably do this again with even greater effect. A surprise on the day was a radio interview for Russell during which he managed to ad lib his way through a 10 minute phone call, live on air, with Melvyn Prior of BBC Radio Lincolnshire! 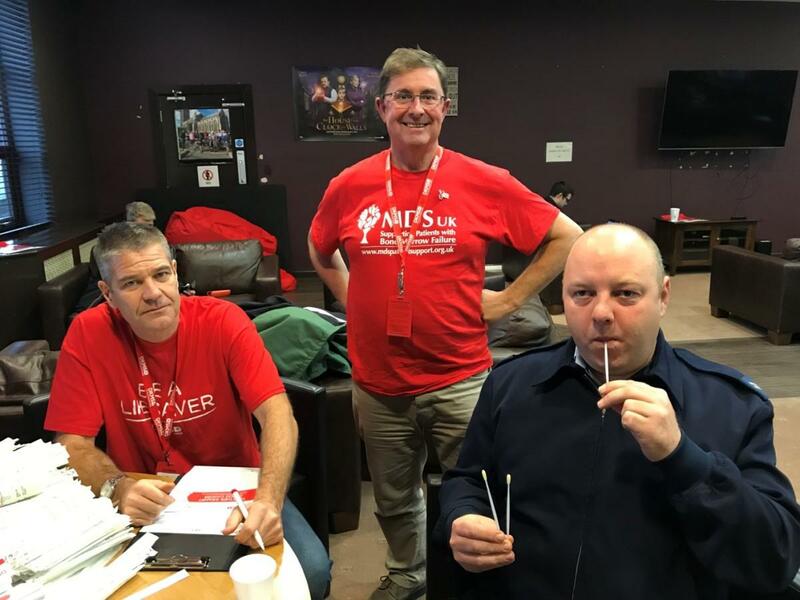 During the interview he emphasised how important it was for people to come forward as donors, that although the event was restricted to base personnel, that the public could join the bone marrow register by contacting the charities directly and asking for either a swab or spit kit. He also highlighted the problems that a great many MDS patients suffer with; namely, fatigue, nausea, bleeding and infections - and pointed out that a great many GPs will never have met a patient with MDS. Although only 1 in 10 MDS patients will be eligible and fit enough to tolerate a bone marrow transplant it goes without saying that adding to the registry is absolutely vital. At any one moment in time there are circa 1600 people with blood cancer in the UK in desperate need of a bone marrow match but for whom nobody has as yet come forward. Currently, only 69% of all blood cancer patients can find the best possible match from a stranger, and this drops dramatically to 20% if you're a patient from a black, Asian or ethnic minority background. By building and diversifying the register we will be able to provide the best match to even more people with blood cancer. Somewhat shockingly only 2% of the population of the UK are registered as potential donors compared to 9% in Germany. This goes a long way to explain why somewhere in the region of 3 out of 5 donors to UK patients are from Germany. These events will hopefully add to the pool of resources that cancer patients in the UK are reliant on. We hope that by highlighting MDS as a hidden and rare blood cancer that we will be able to garner further support either in person or financially so that we can help fund research into the disease. MDS UK would like to thank Sqn Ldr Elizabeth Long, Leslie-Ann Kloed, and Jim Robinson (RAF communications) for organising the event and Sarah Gray from DKMS for the materials on the day. We would like to make a special mention of Jayne Snell who volunteered to act as organiser for the event and was a central figure on the day. Thank you to the RAF for their hospitality and their assistance on the day. Of course not forgetting Fl Lt Adrian ‘Coops’ Cooper and Emma - we look forward to assisting in future events.